​$45 per session per child. ​Drop-offs and pick-ups are at Cheltenham Community Centre. 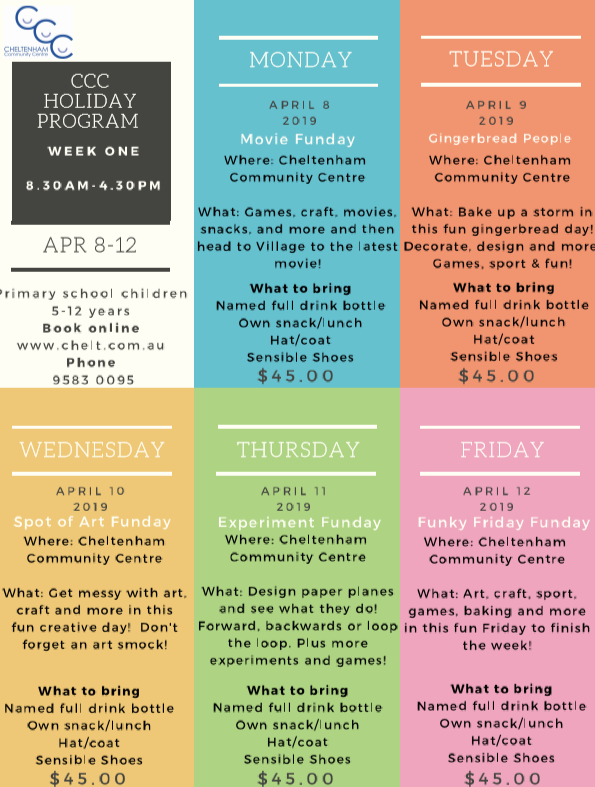 Watch this page for full details of each program closer to the school holidays.